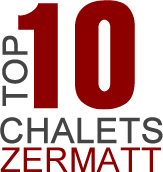 Zermatt has what you want. 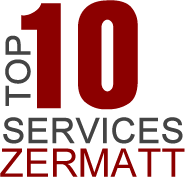 Zermatt has much more than you expect. 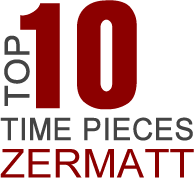 Zermatt’s Cuisine is the best there is! En Guetä! Jewels are extraordinary. Formed under immense pressure, hundreds of kilometres below the surface of the earth, their one billion year journey to us is nothing short of miraculous. 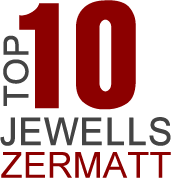 Extraordinarily Exclusive Jewellery from some of the finest Jewellery Stores in the World… Right here in Zermatt, Switzerland. 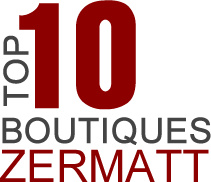 Zermatt showrooms have been officially authorised by the world’s most exclusive brands: Rolex, A. Lange and Sohne, Baume and Mercier, Blancpain, Breguet, Breitling, Cartier, Dior, Hublot, IWC, Jaeger-LeCoultre, Longines, Patek Philippe, Panerai, Piaget, TAG Heuer, Tudor, and Vacheron Constantin. 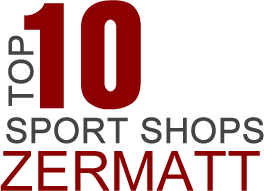 Zermatt sport shops have the latest in top sports equipment complimented with expert advice. Rental equipment is also the best you’ll find for those who don’t need new gear. Regardless of whether you buy or rent, you’ll find top-notch ski equipment and the latest in ski fashion clothing. Check out the view. Simply outstanding..
And you’re hungry? Whether you’re skiing in the winter or hiking in the summer, you’re not going to starve up in the mountains. 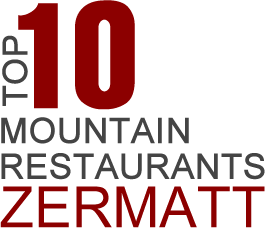 There are 25+ mountain restaurants surrounding Zermatt. The mountain restaurants are fantastic and most have amazing views of the Matterhorn! 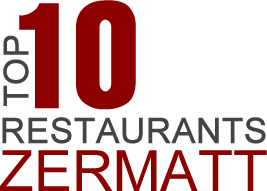 And ALWAYS MAKE A RESERVATION… En Guetä! Enjoy the best of both worlds in Zermatt: the quiet, leisurely pace of the Matterhorn Sport Resort situated at the foot of the Matterhorn with all the amenities of a big city.